"Live your truth, transform your life." Transformation Yoga is a studio located in Summerville, South Carolina. We are a collective tribe of yogis and yoginis traveling on our individual journeys sharing the tools we have learned along our paths and providing them with the community. 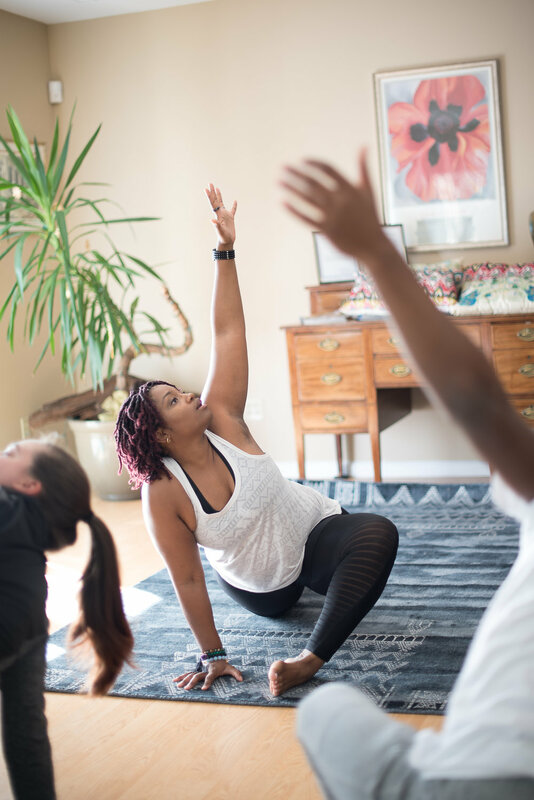 We know, understand and have felt the ingeniuine declaration of many well-meaning yoga studios and programs of "inclusion" in holistic and wellness spaces, that have missed the mark in true inclusivity of marginalized, underserved and underrepresented communities. We stand firm in providing safe space for all in our community regardless of sexual orientation, class, religious affiliation, body size, age or gender and utilize our space to bring awareness to social justice issues and create lasting impact. "Why can't we wear straight hair AND nappy hair depending on the season? Why can't we be lighter in the winter and darker in the summer? Why can't we shape shift the way the rest of nature does and BE that magic? Not at the behest of a society that dictates, but out of celebration and authenticity."